Former No. 1 Justine Henin Retires From Tennis, Again : The Two-Way Former world No. 1 Justine Henin has retired from tennis for a second time. The Belgian's first retirement came in 2008 while she sat atop the world of women's tennis. She came back 20 months later. Justine Henin plays the last match of her professional career in the third round of the Australian Open against Svetlana Kuznetsova of Russia. Former world No. 1 Justine Henin has retired from tennis for a second time. The Belgian's first retirement came in 2008 while she sat atop the world of women's tennis. 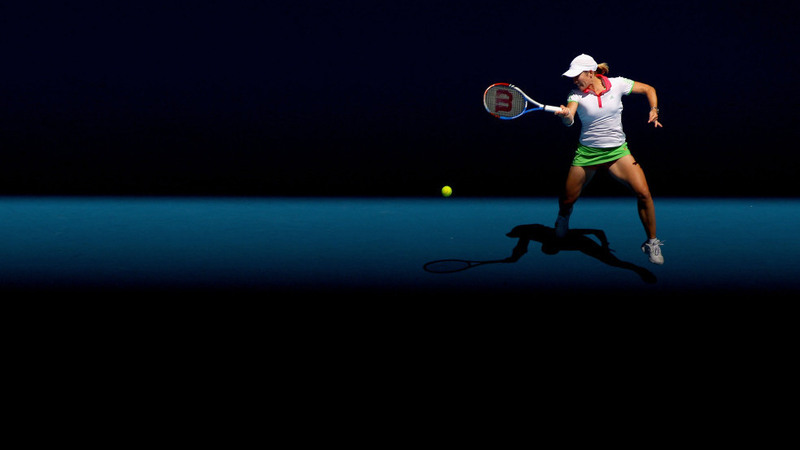 She came back 20 months later and quickly reached the finals of the 2010 Australian Open. A nagging elbow injury that started in a loss last year at Wimbledon to Belgian compatriot Kim Clijsters forced Henin into retirement. The announcement comes after Henin lost in the third round of the 2011 Australian Open to Svetlana Kuznetsova. ... following the advice of doctors, it is now clear and I accept that my career here finally ends. Henin won seven grand slam titles, four of them at the French Open. Wimbledon was the only major that escaped her grasp. Henin turned pro in 1999. She finished the year ranked No. 1 in 2003, 2006 and 2007. She won 43 singles and two doubles titles. Her career prize money totaled more than $20 million. Henin is currently ranked No. 13.